Okeechobee, Fla. – QuitDoc Foundation and the Florida Department of Health’s Bureau of Tobacco Free Florida are raising awareness about the dangers of smokeless tobacco, like chew and dip, during “Through With Chew Week.” This public awareness campaign was created to reduce the use of smokeless tobacco among young people and help combat this deadly addiction. “Through With Chew Week” took place Feb. 14-20. To raise awareness about the dangers of smokeless tobacco use QuitDoc Foundation, the Tobacco Free Partnership of Okeechobee County and Okeechobee High School SWAT (Students Working Against Tobacco) Club President, Jasmine Moyett presented to the City Council to ask them to adopt a Through With Chew Week Proclamation. Ms. Moyett educated the Mayor and Council with local statistics about youth using smokeless tobacco in Okeechobee County. 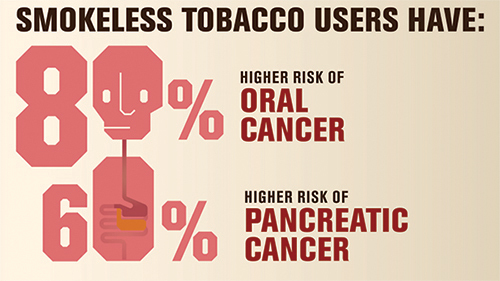 She also stated that bringing awareness to smokeless tobacco is imperative because products like chew and dip can contain more nicotine than traditional cigarettes, and can lead to a lifetime of addiction. 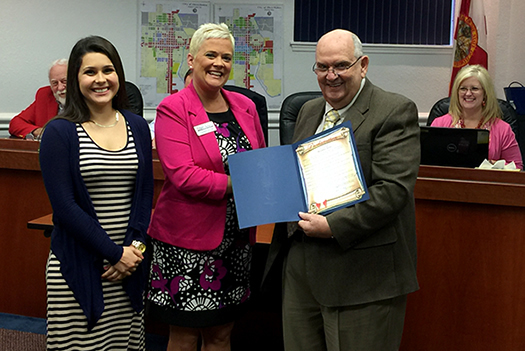 On Feb. 16, 2016, at 6 p.m. the Okeechobee City Council unanimously approved the proclamation. Ms. Moyett thanked the Mayor, Council and City Administrator for their ongoing support of the SWAT Club and assured them that her Club would continue to advocate against tobacco use. Pictured from L-R: Jasmine Moyett Okeechobee High School SWAT Club President, Courtney Moyett Community Health Advocate for QuitDoc Foundation and the Tobacco Free Partnership of Okeechobee, and City of Okeechobee Mayor James Kirk.